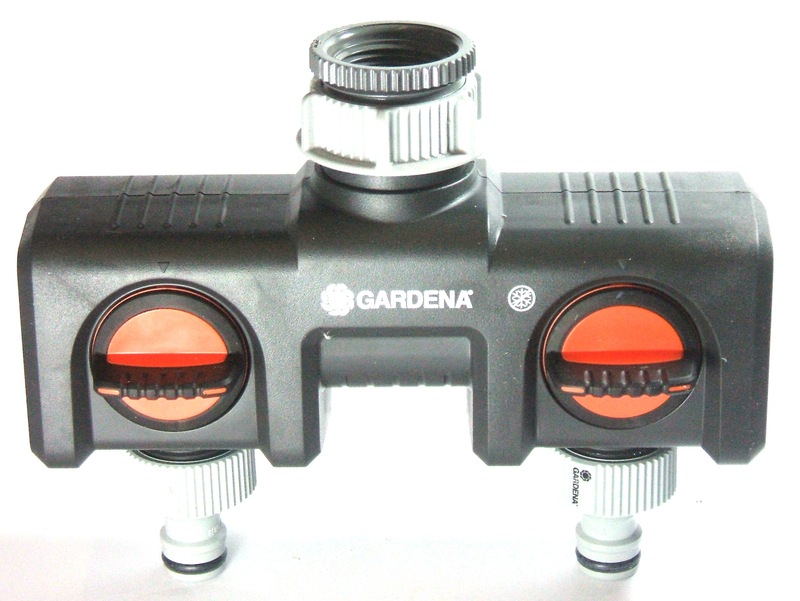 The GARDENA Twin-Tap Connector makes it possible to simultaneously connect two accessories to one tap. The outlets are fully adjustable. Two GARDENA Water Computers can be joint to the connector. The Twin-Tap Connector can be converted to the GARDENA "Profi" Maxi-Flow System with the "Profi" Maxi-Flow System Threaded Tap Connector (Art. No. 2801-20). 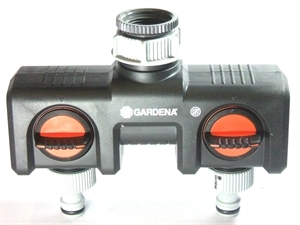 The GARDENA Twin-Tap Connector is suitable for taps with 26,5 mm (G3/4") and 33.3 mm (G 1") thread. Copyright © 2019 EJ Woollard. All rights reserved.